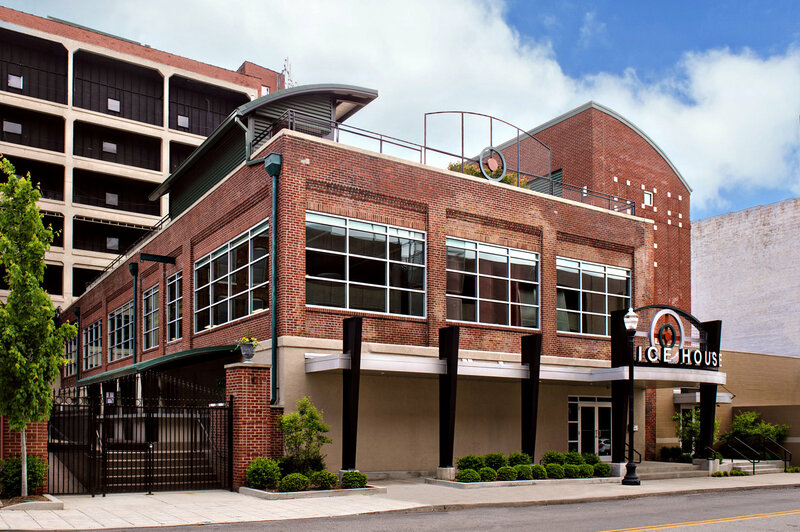 The Ice House Event Center, located in the heart of Louisville, offers over 12,000 square feet of rentable space and hosts a wide array of events including wedding ceremonies and receptions, corporate and charitable events, trade shows, seminars, concerts, family celebrations, and school functions. The Ice House Event Center brings together all the elements needed to make your wedding day magical, from the natural beauty of our setting to the genuine hospitality of our team. The Crushed Ice Events catering team will delight the wedding party and guests with unforgettable culinary artistry while our professional AV team creates the perfect scene.